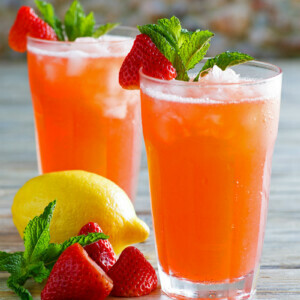 This beautiful Strawberry Lemonade recipe is so perfect to serve on a warm spring or summer day. 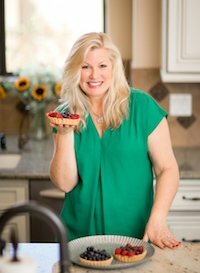 Now that the weather is finally starting to get warmer and we’re starting to see the sun a whole lot more, it’s time to start thinking of recipes that use up beautiful berries! 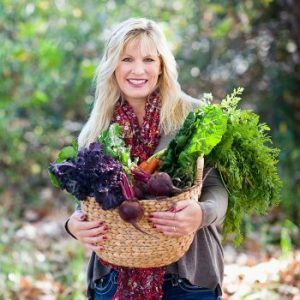 You’re probably starting to see baskets of strawberries on sale for a good price at your local markets. 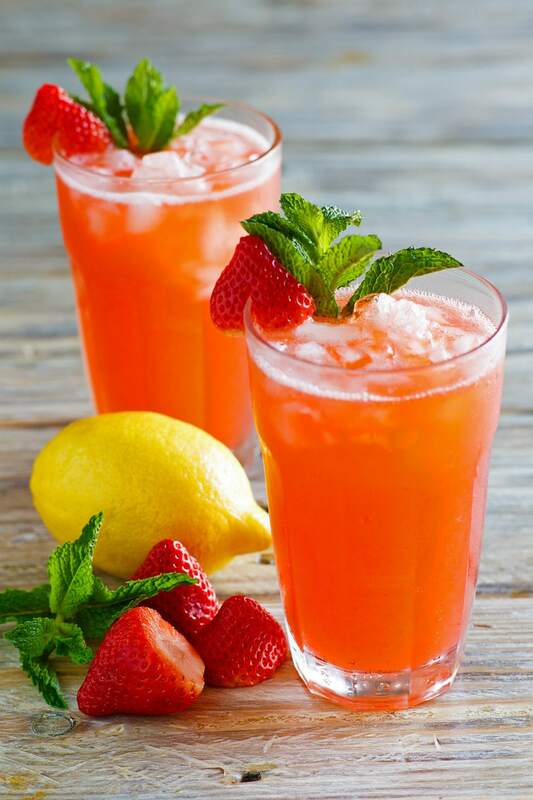 Pick up some strawberries today and make this lemonade! 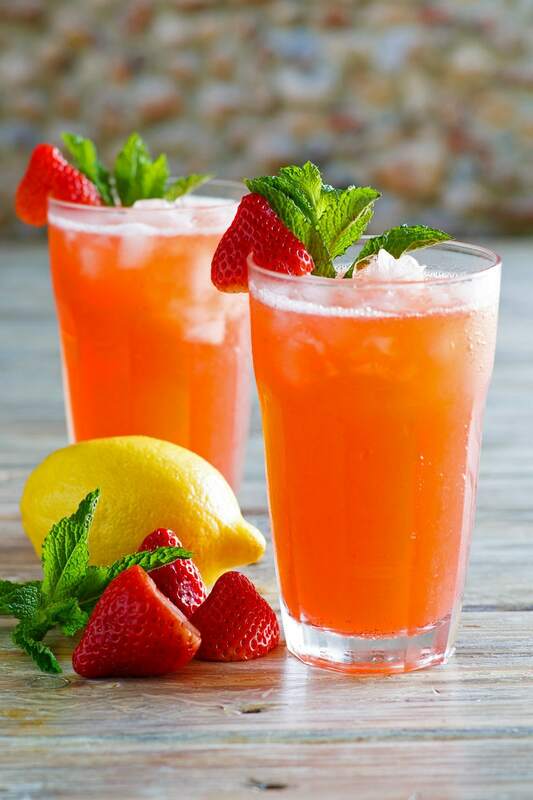 This strawberry lemonade uses a pint of strawberries and a cup of freshly squeezed lemon juice. The strawberries are pureed with a lemon simple syrup and then strained out to preserve the strawberry flavor but get rid of the pulp. 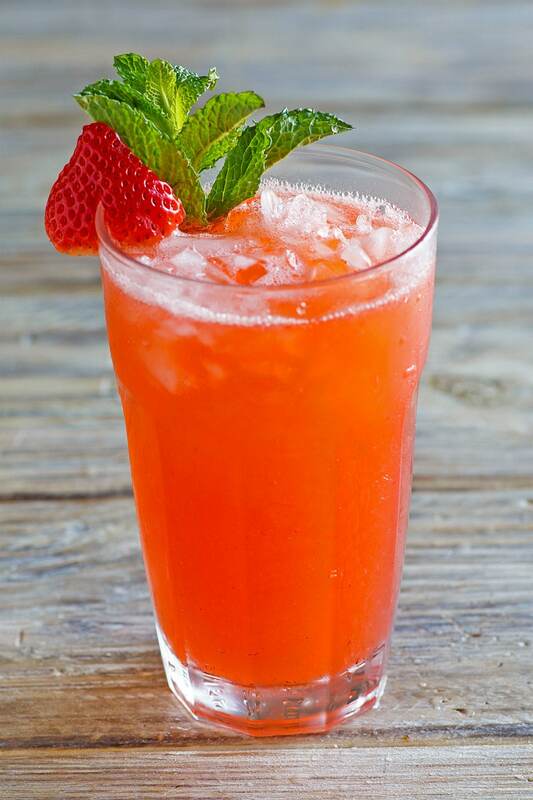 The sweet strawberry mixture is combined with sparkling water to create a delicious, homemade lemonade. I can think of a lot of occasions where this might be a good beverage to whip up and share. A warm weekend is a good reason! But it’s also a nice beverage to serve for a holiday lunch or brunch. 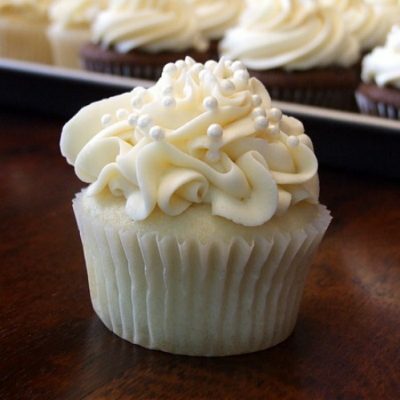 For a party with friends, you might consider doubling or tripling the recipe. 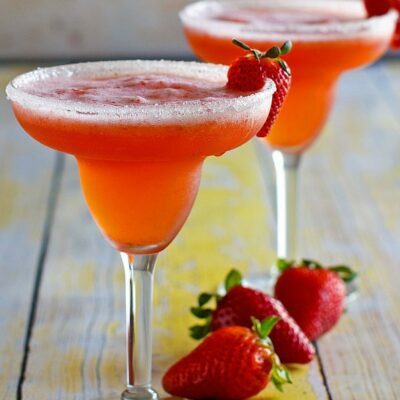 For an adult party, try adding a little bit of vodka to create a strawberry lemonade cocktail! First off, you don’t have to garnish your lemonade. But it’s so pretty if you do! 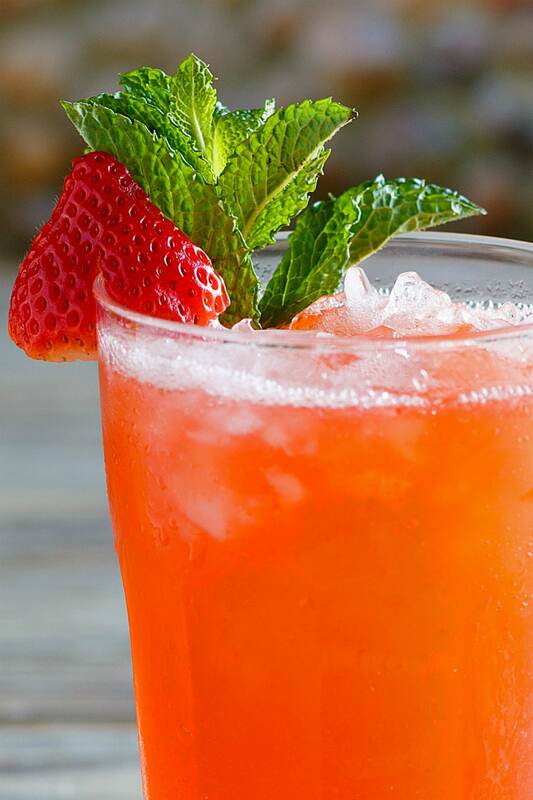 Stick a small sprig of fresh mint into your lemonade for a pick and pretty garnish. Buy some extra fresh strawberries, cut them in half and slip them onto the edges of your glasses for a double gorgeous garnish. This recipe comfortably serves four. 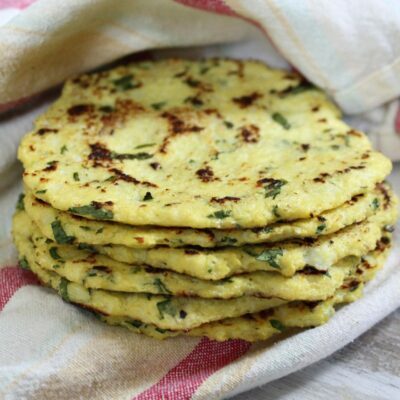 It’s so good though, so you’ll probably want to double the recipe so you can all enjoy seconds! 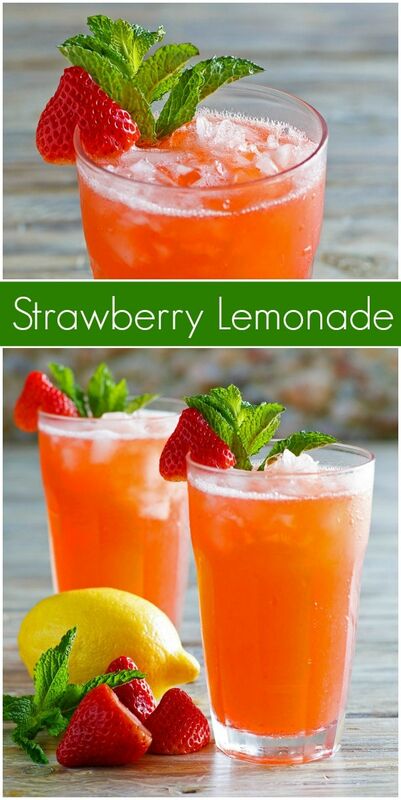 Such a refreshing spring and summer beverage! In a medium saucepan, bring the water and sugar to a boil. Reduce the heat and simmer, stirring occasionally, until the sugar dissolves. Add the lemon zest and juice, stir and remove from heat. Let cool completely. 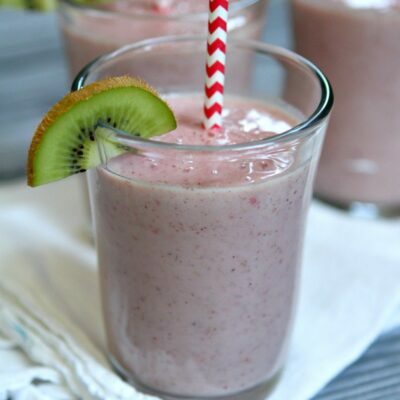 In a blender, puree the strawberries with about 1/2 cup of the lemon syrup. Add the pureed strawberries to the remaining lemon syrup. Stir; pour through a strainer into a pitcher. Refrigerate until well-chilled. When ready to serve, add sparkling water to the pitcher and stir well. 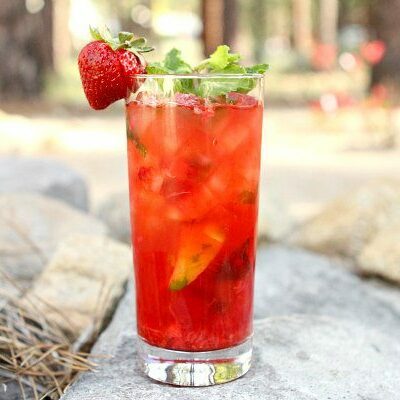 Pour over glasses filled with ice, and serve garnished with mint and/or strawberry halves. Do you have one for a “1,2,3,4, cake that’s moist ?